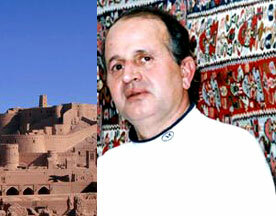 When the Bam tragedy happened last year, I received many emails requesting Iraj Bastami's music. He had been visiting his birthplace when the earthquake happened. The beautiful lyrics about homeland accompanied by the beautiful santur of Meshkatian and the voice of the artist who perished with thousands of precious souls, evoke such explosive emotions that one can hardly bear.